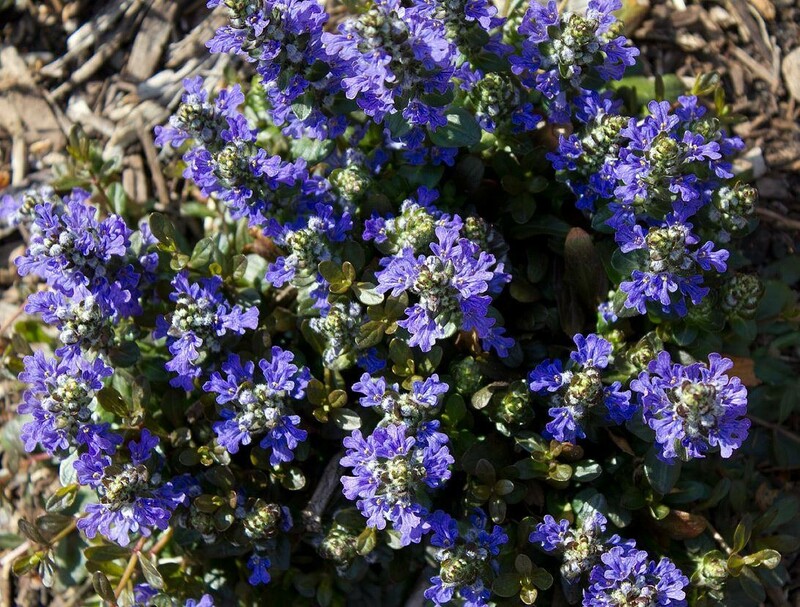 Ajuga x 'Chocolate Chip', is a useful ground cover with short spikes of blue flowers. 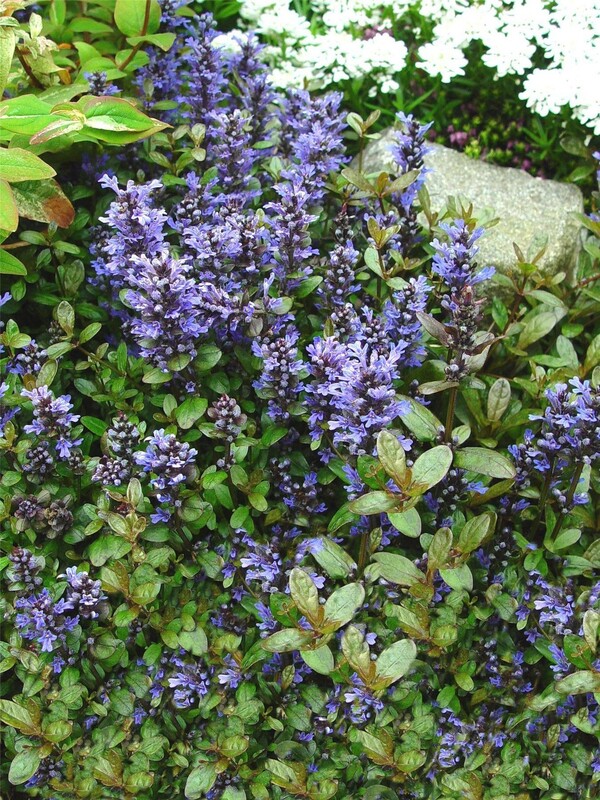 This Ajuga has unusually narrow foliage of dark green, overlaid with chocolate-brown, forming a very low clump. It is most noted for its dwarf habit and its chocolate foliage. The flowers appear in spring and are 4 inches in height with a plant width of 12-18 inches. It is not as invasive and is best-planted 6-9 inches apart for a quick cover. Ajuga 'Chocolate Chips' will do best in a shaded area but will adapt to morning sun. 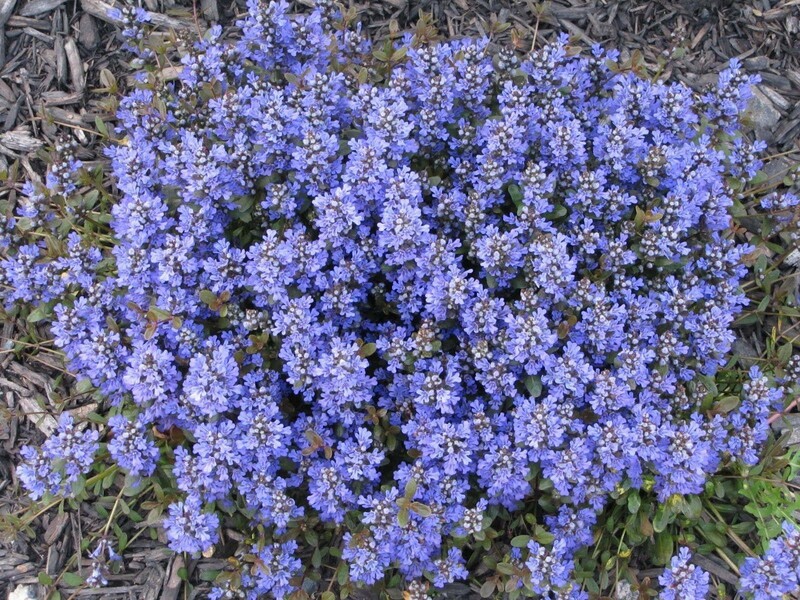 It prefers moist soil with a good drainage but will tolerate moderately dry areas. Avoid soggy conditions. Ajuga 'Chocolate Chip' looks great in rock gardens and in front of borders and in containers. 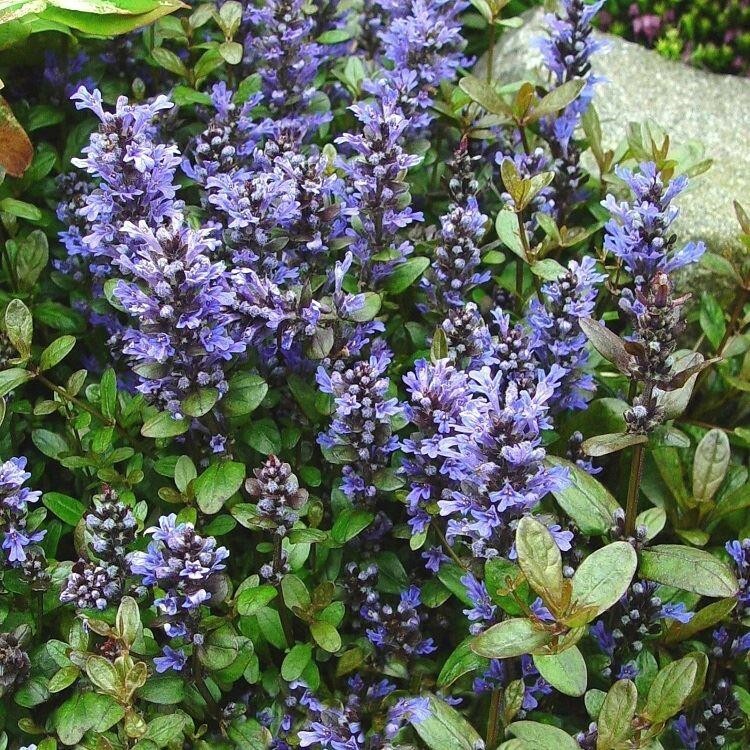 If one is looking for a perennial ground cover to exceed in a hard to grow shady area, Choclate Chip Ajuga is the way to go. Supplied in approx 1 litre containers.